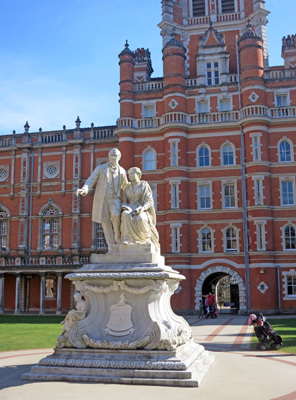 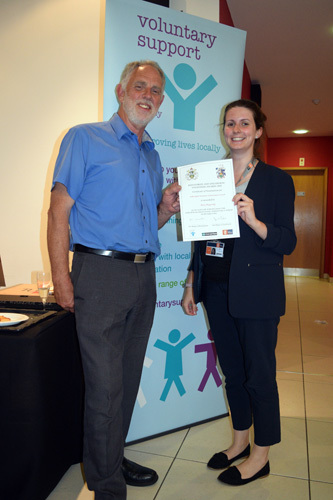 Barry Muggeridge, our competition secretary and lecture organiser, received a certificate and well-earned recognition for his voluntary services to the Spelthorne community at a presentation evening at Royal Holloway College on 29 May. 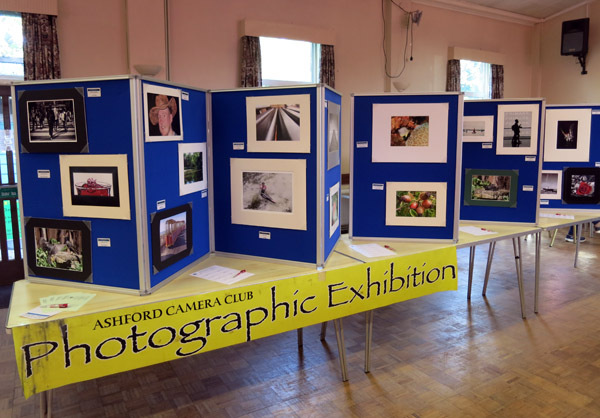 Over the last 10 years in particular, Barry’s input and hard work has made a very positive contribution to the success of Ashford Camera Club, Ashford Horticultural Society, Ashford Pride and Ashford on the Map. 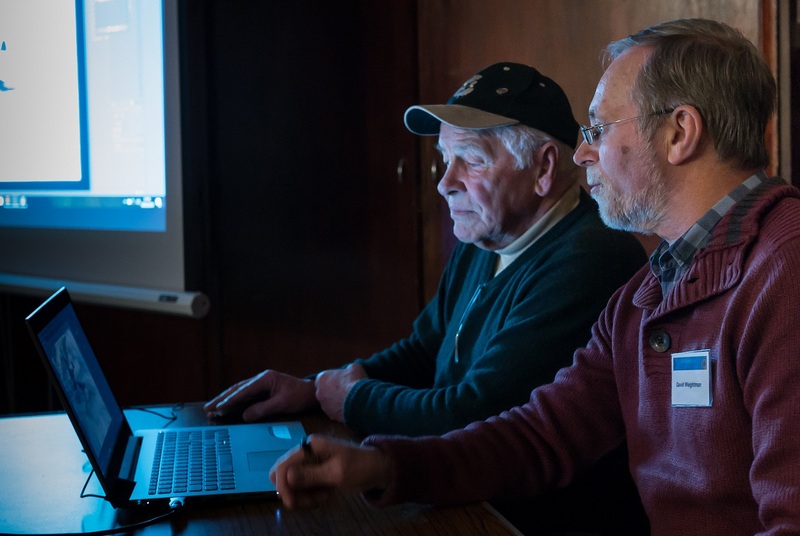 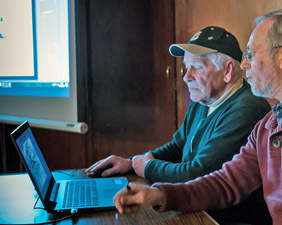 Club members participated as Roy Enser demonstrated aspects of Adobe Photoshop on Tuesday 6 March 2018. 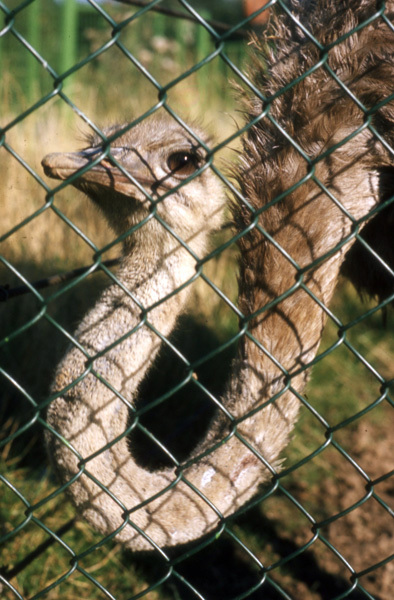 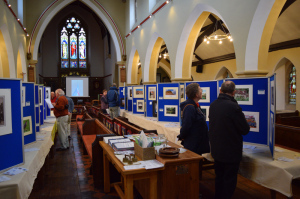 Photographs by Richard Broughton. 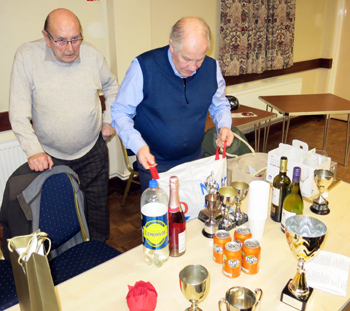 The annual awards evening was held in St Matthew’s church hall on Tuesday 23 January 2018. 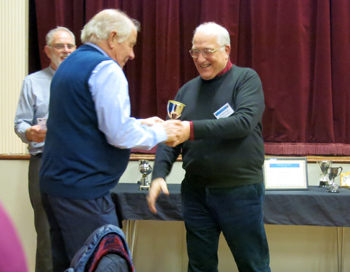 Trophies and certificates were presented to the winners of the 2017 competitions. 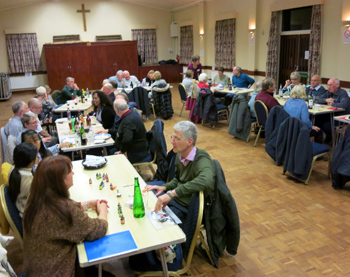 The evening was well attended and as usual Nick Ramundi provided the delicious Italian food. 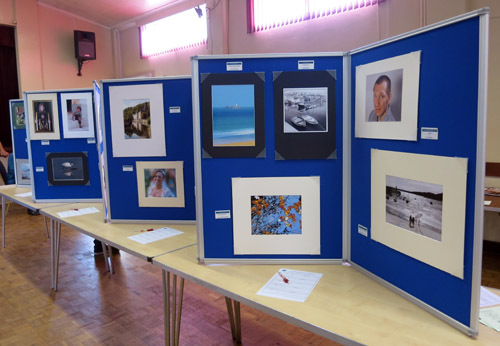 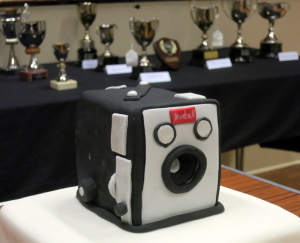 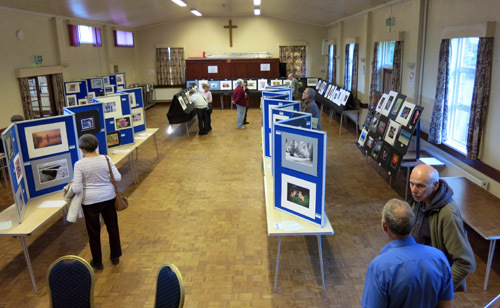 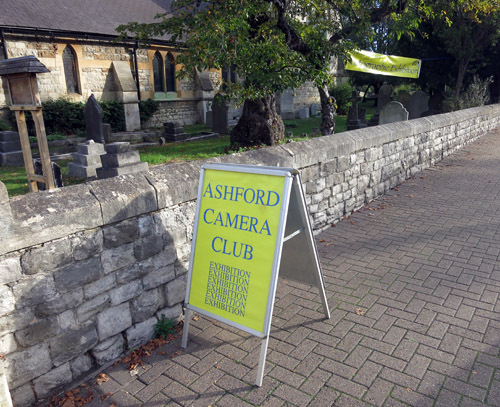 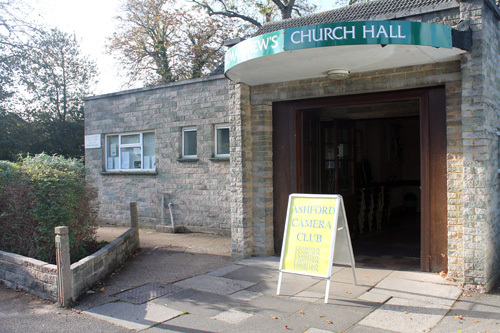 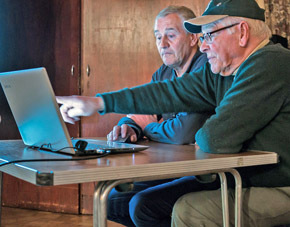 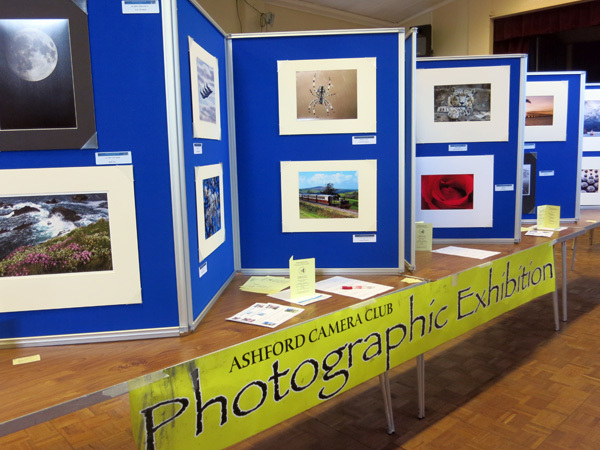 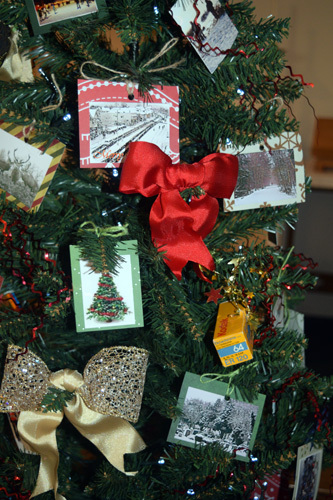 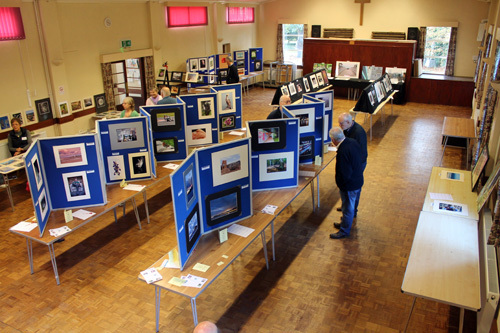 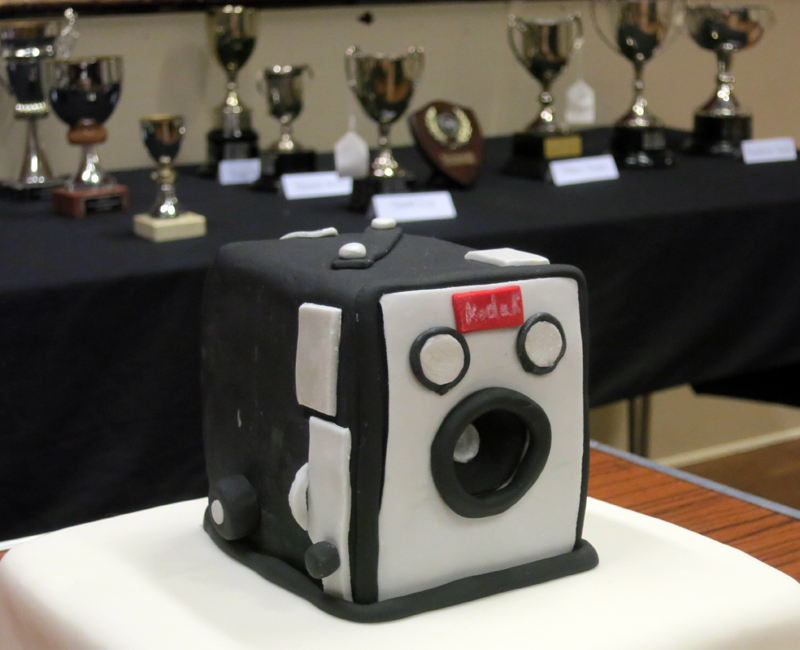 Once again Ashford Camera Club held its annual exhibition in St Matthew’s Church hall. 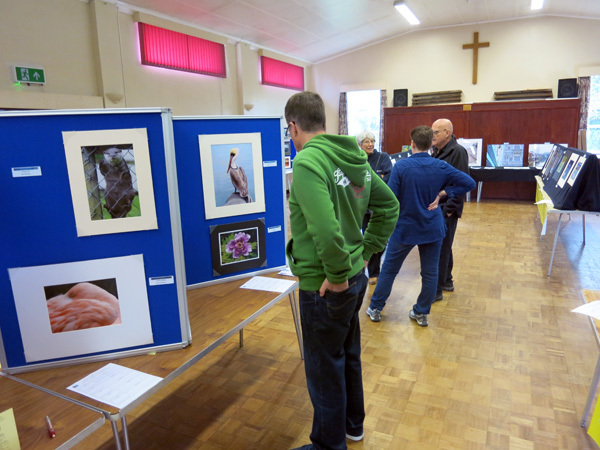 It was good to see so many high quality images from the members and a large number of appreciative visitors. 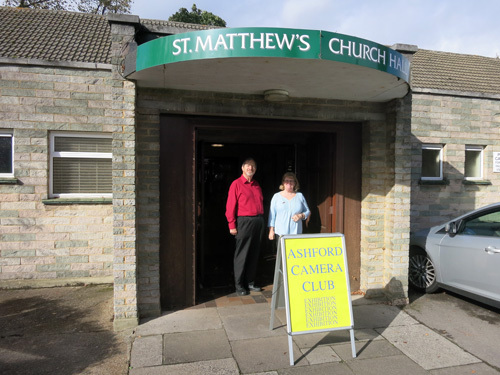 Our first meeting of the New Year on 3 January was well attended and members showed one another a selection of their digital images. 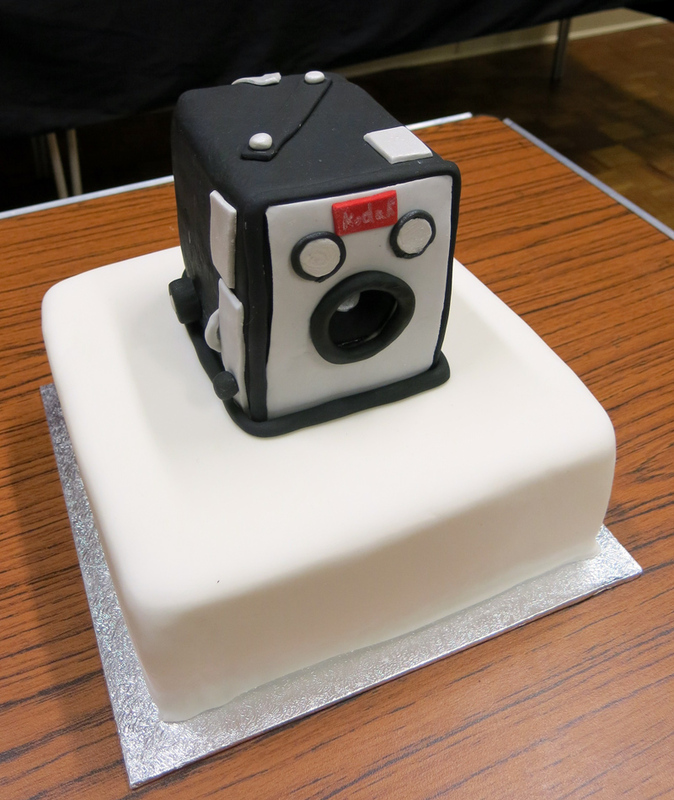 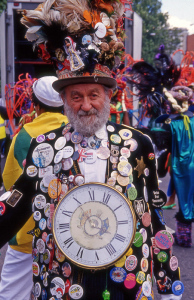 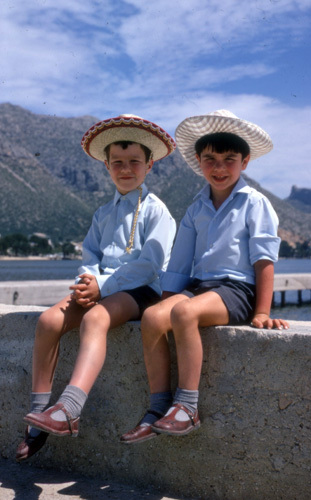 Some members still use colour film and we continued with the annual colour slide competition. 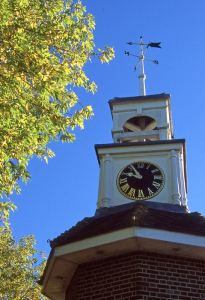 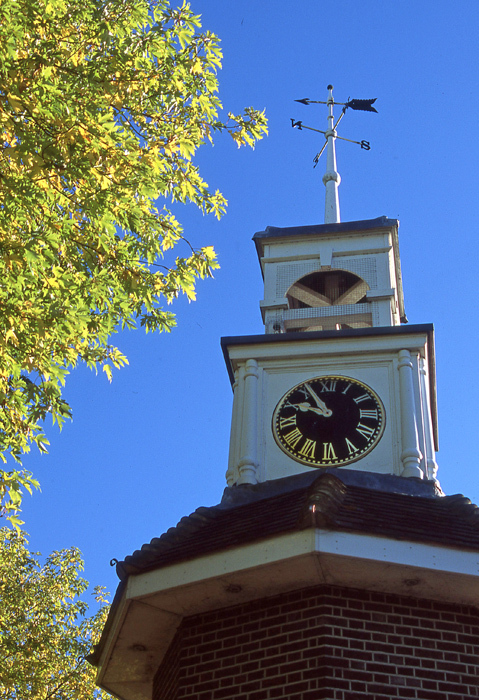 The top image is “Clock tower, Ashford” by Richard Stevens. 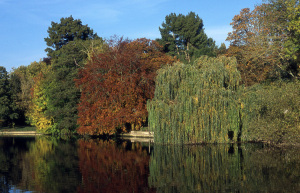 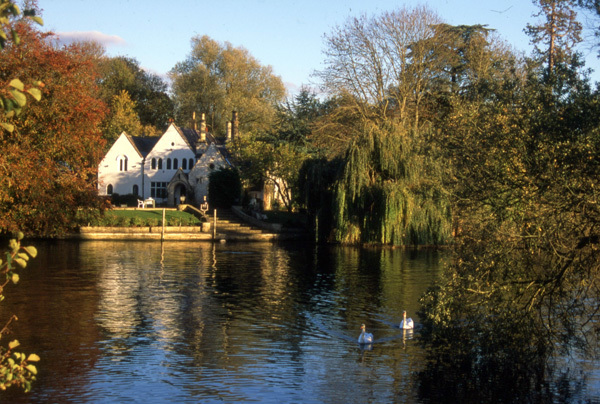 Richard won the nature category with “Autumn foliage, Runnymede” (2nd from top) recorded on Agfa CT 100 precisa film. 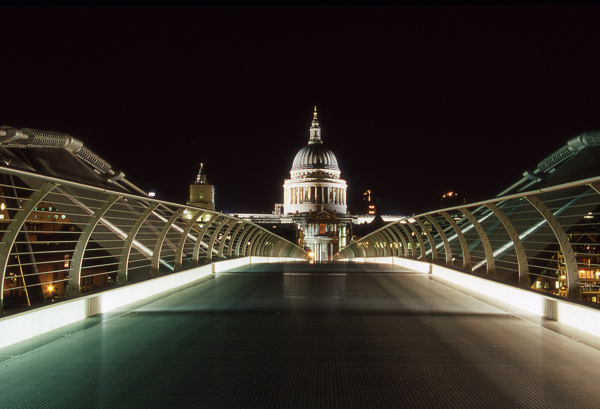 Mohammad Kalim won the portrait and general categories with “Keep calm, don’t panic” and “City walkway” (lower two images) using Kodak Elitechrome EBX 100. 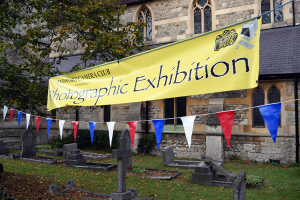 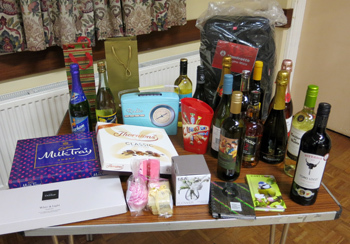 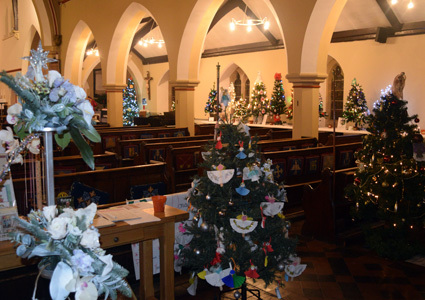 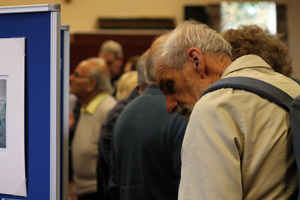 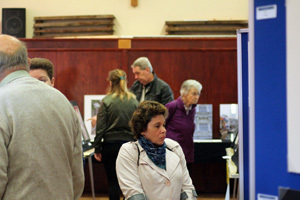 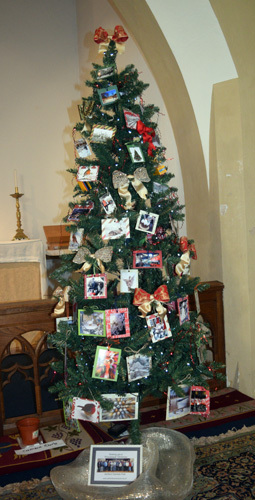 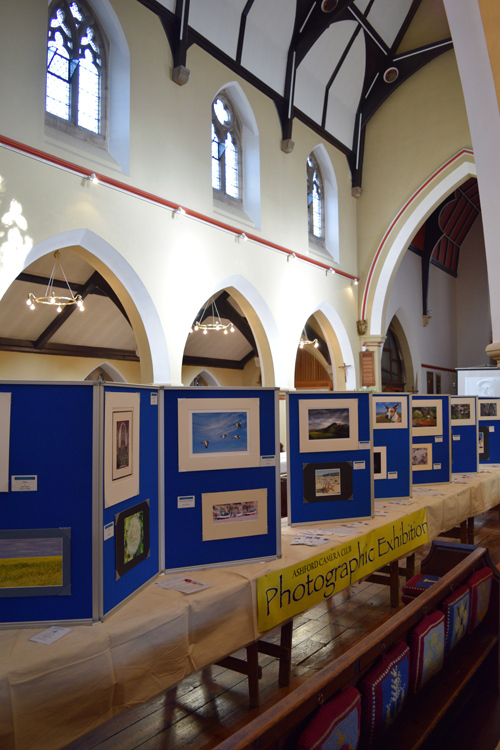 This year the club held its annual exhibition on Saturday 22 October in St Matthew’s Church in Ashford. The Church made a very attractive setting for the 130 prints displayed and the convenient location on the main street attracted passers-by.